USC has announced a naming gift from Jill and Frank Fertitta ’84 that will create a new undergraduate instructional building and establish an endowed faculty chair at the USC Marshall School of Business. The Jill and Frank Fertitta Hall will transform the educational environment at USC Marshall, facilitating more collaborative and technology-enabled learning experiences with state-of-the-art classrooms and expanded student areas. Standing in a prominent location on the southeast corner of the University Park Campus at the intersection of Figueroa Street and Exposition Boulevard, within view of the university’s main entrance, the new building will increase USC Marshall’s undergraduate student capacity by close to one-third. The gift from the Fertitta family will also establish the USC Jill and Frank Fertitta Endowed Chair in Business. In the past two years, USC Marshall has experienced its most significant recruiting period in the school’s history, including the hiring of 48 faculty members as part of its Thought Leadership program. “This endowed chair supports our ongoing priority to recruit and retain influential academicians, leading policymakers and real-world practitioners who are eager to share their insights, experiences and connections with our students,” Ellis said. 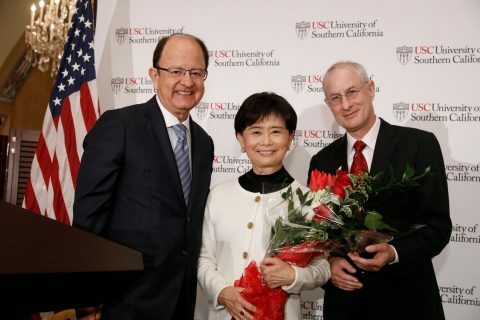 The gift represents significant support for the Campaign for the University of Southern California, a multiyear effort to secure $6 billion or more in private philanthropy to advance USC’s academic priorities and expand the university’s positive impact on the community and world. Fertitta is also a founder and principal owner of Zuffa LLC, which owns and operates the Ultimate Fighting Championship (UFC). In 2001, Fertitta and his brother, Lorenzo, purchased the UFC and transformed the organization into a highly successful global sports enterprise that is now the largest live pay-per-view content provider in the world, available on some form of television in more than 1 billion homes, in 48 countries and territories, and in 22 different languages. 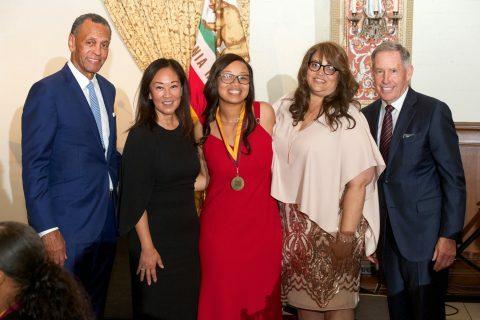 The Fertittas have provided philanthropic support to a broad range of organizations, many of which are committed to providing or enhancing education, including the University of Nevada, Las Vegas, The Meadows School, the Clark County School District, the Las Vegas chapter of the I Have a Dream Foundation and Bishop Gorman High School. The Fertittas have also supported the Nevada Cancer Institute, Catholic Charities of Las Vegas, the Intrepid Fallen Heroes Fund and The Smith Center for the Performing Arts. 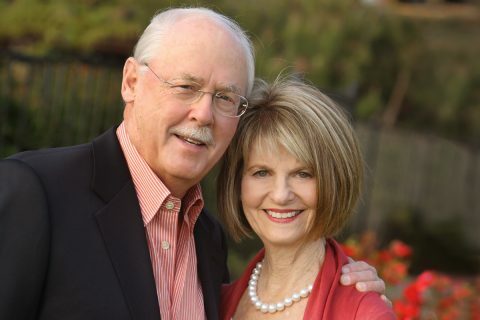 Their daughter, Kelley-Ann, is a 2012 graduate of the USC Annenberg School for Communication and Journalism. Construction on the new building is expected to begin in May 2014, with completion set for the fall 2016 semester.